VIZ Media, LLC (VIZ Media), the largest distributor and licensor of manga and anime in North America, has announced the release on June 17th of BATTLE ROYALE: ANGELS’ BORDER, a new one-shot manga (graphic novel) written by Koushun Takami, author of the original BATTLE ROYALE novel. 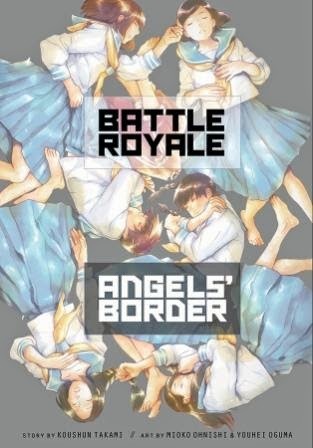 BATTLE ROYALE: ANGELS’ BORDER debuts in print from the VIZ Signature imprint, is rated ‘T+’ for Older Teens, and will carry an MSRP of $12.99 U.S. / $14.99 CAN. The new single-volume release reveals for the first time in graphic novel form the full story and grisly demise of the girls in the lighthouse that was so memorably featured in the original BATTLE ROYALE book and live-action film. BATTLE ROYALE: ANGELS’ BORDER features artwork by Mioko Ohnishi and Youhei Oguma. A digital version will also launch for $8.99 (USD/CAN) on June 17th on VIZManga.com and through the VIZ MANGA App for the Apple iPad®, iPhone® and iPod® touch, Android-powered smart phones, as well as through the Nook, Kobo, Kindle, iBooks and GooglePlay stores. Author Koushun Takami’s notorious literary thriller, BATTLE ROYALE, possessed an irresistible premise: a class of junior high school students is taken to a deserted island where, as part of a ruthless authoritarian program, they are provided arms and forced to kill one another until only one survivor is left standing. Criticized as violent exploitation when first published in Japan – where it then proceeded to become a runaway best seller – Battle Royale has become a Lord of the Flies for the 21st century, a potent allegory of what it means to be young and (barely) alive in a dog-eat-dog world. VIZ Media recently marked the 15th Anniversary of BATTLE ROYALE’s original release with BATTLE ROYALE: REMASTERED (MSRP: $16.99 U.S. / $19.99 CAN). Published under its Haikasoru literary imprint, it features a brand new translation of the original novel along with new cover art by Tomer Hanuka and an afterword by author Koushun Takami. The BATTLE ROYALE SLAM BOOK (MSRP: $14.99 U.S. / $16.99 CAN) is also available from Haikasoru and presents an insightful collection of essays by some of the most important writers of popular fiction on the impact of the novel, related films and manga series on pop culture and the controversy and continuing social debate that has surrounded BATTLE ROYALE ever since its release. 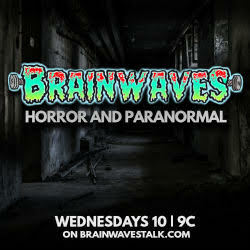 For more information on BATTLE ROYALE and the Haikasoru imprint, please visit: www.haikasoru.com. For more information on manga titles published by VIZ Media, please visit: www.viz.com.